All those years sun worshipping as a teenager made us pay a high price! Ugh – wrinkles! Enter Halo™ laser to the rescue. Halo by Sciton is the first and only hybrid, fractional laser that safely and comfortably targets damage specific to your skin to get rejuvenated, glowing, youthful-looking skin again. 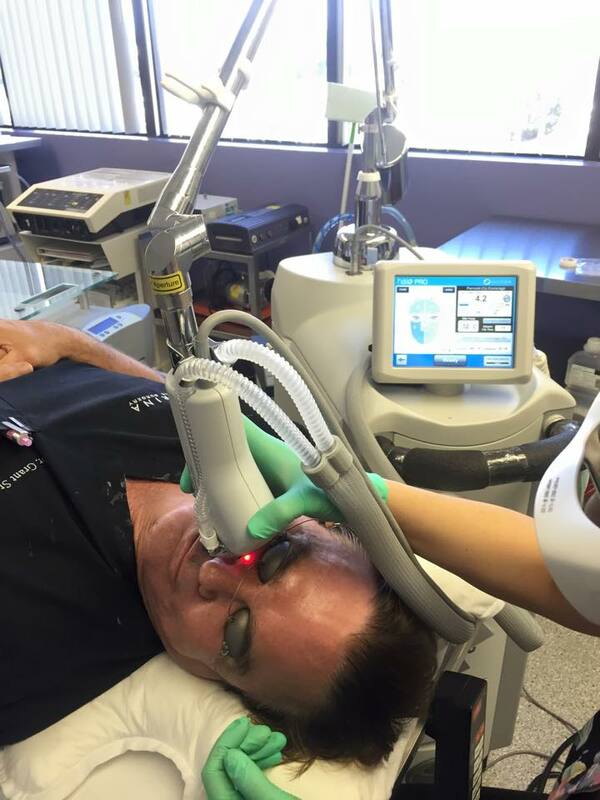 While other lasers penetrate too deeply, or not deeply enough to be most effective, the Halo laser has two wavelengths to target the epidermis and the deeper dermis levels specifically, leading to epidermal renewal and deep dermal rejuvenation. Here I am getting a treatment. I love it! Through a healing process of only a few days, pigment from the damaged skin rises to the surface and peels off to give you clear, radiant, luminous skin. The Halo laser’s unique cooling system and temperature monitoring even keeps your skin comfortable and safe throughout the procedure. • Correct damage due to tanning, sunspots, and aging. • Improve appearance of tone, texture and fine lines. • Reduce pore size to increase reflectivity. • Encourage continual dermal rejuvenation, with shorter downtimes. Get in touch with Cory today at (310) 827-2653 to learn how your skin’s outer glow can finally start reflecting that vibrant, youthful glow you have on the inside. Which company is selling this device? I would love to apply for a sales rep.
← Cellfina – Amazing New Cellulite Treatment!